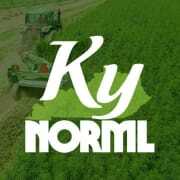 KY NORML's mission is to move public opinion sufficiently to influence legislators for the expansion of our hemp industry, implementation of medicinal cannabis, and laying the foundation for responsible adult use. KY NORML emerged out of a pursuit to inspire and support the community, and a desire for actions to speak louder than words. Established in 2017, we’re an organization driven by progressive ideas, bold actions, and a strong foundation of support. Would you recommend Kentucky NORML?